Suzhou, still occasionally spelled Soochow, is a large city located near Shanghai in southeastern Jiangsu Province. Often called the “Venice of the East”, the 2,500-year-old city is crisscrossed with canals and speckled with UNESCO World Heritage gardens. Suzhou has an urban population of over 4 million expanding to over 10 million in the greater administrative area. The city was founded in 514 BCE, and its long and rich history makes it a major Chinese tourist destination, for both domestic and international visitors. Its close proximity to Shanghai and collection of international-quality amenities have made it one of the most popular cities for expats to live in. 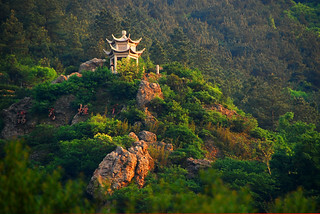 Tiger Hill (虎丘) is the burial place of King Helü, who in addition to founding Suzhou 2,500 years ago, also fought with Sun Tzu, author of “The Art of War”. 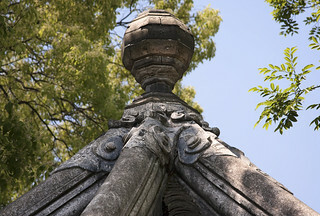 In addition to various pools and gardens, the site features the thousand-year-old “The Leaning Tower of China”, the Yunyan Pagoda. 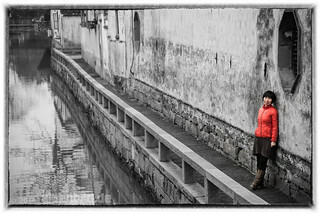 A short walk down from Tiger Hill you can find the start of Shantang Jie, a historic street and nice walk through Suzhou’s canal-centred past. We’re lumping these together because–unless you are a classical Chinese garden connoisseur–if you’ve seen one, you’ve seen them all. The largest and most famous of the gardens is Humble Administrator’s Garden (拙政园), situated directly adjacent to the I.M. Pei designed Suzhou Museum. 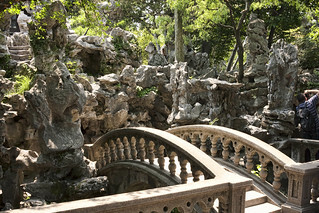 The nearby Lion’s Grove Garden (狮子林) is often less crowded and less expensive. 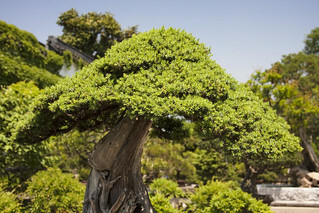 Get more information about all of Suzhou’s many gardens here. At 1200- and 800-years-old respectively, these two ancient streets offer a peak inside Suzhou’s past. Though both have heavily touristy sections littered with shops (and in the case of Pingjiang Road, some of Suzhou’s best coffee shops and art galleries), there is still a good level of authentic Suzhou-style architecture and local life. Shangtang Street (山塘街) is located just outside the old city, in the north-western end of the city — very near Tiger Hill. 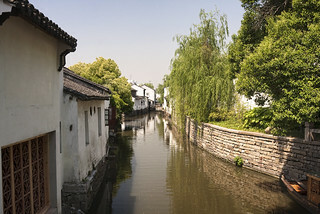 Pingjiang Road (平江路) can be found in the north-eastern corner of the old city, quite near to the Humble Administrator’s Garden/Suzhou Museum. 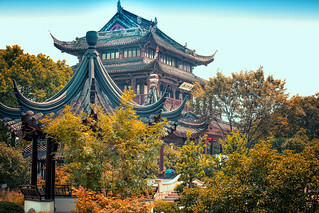 Hanshan Temple (寒山寺), is a Buddhist temple to the west of the old city, on the border of where the old city becomes Suzhou New District (SND). Snuggled against the Grand Canal, the temple is most famous for a visit by Tang Dynasty poet Zhang Ji, who while visiting penned the well-known poem “A Night Mooring by Maple Bridge” (楓橋夜泊). Along with various scenic spots on the grounds, Hanshan Temple is a great place to watch the Grand Canal’s boat traffic drift along the waterway as it has for centuries. Tucked in the south-western corner of the old city, bordered by both the southern and western canals that surround the city, Pan Gate (盘门) is one of the oldest historic spots in Suzhou, dating virtually to the city’s founding 2,500 years ago. Situated in a large park lush with greenery and rock features, Pan Gate also contains Suzhou’s oldest pagoda, the Ruiguang Pagoda, built in 247 BCE. Whether you’re looking to buy a silk dress, some tacky souvenirs or a new laptop battery, the best place for shopping in Suzhou is Guanqian Street (观前街), a pedestrian street in the heart of the old city. The pedestrian street branches off into a number of small alleys which provide an endless array of shops and restaurants to explore. Located on the north-western side of the city, near the southern end of Shantang Street and only about 3km from the Suzhou Railway Station, “Shi Lu” (石路) features a number of shops, cafes, bars and restaurants. Suzhou is just a hop and a skip from China’s largest city, Shanghai. While it has no airport of its own, a shuttles frequently between Shanghai Pudong airport and Suzhou, with stops at Hongqiao Airport as well. The shuttle takes about 2 hours (traffic depending) and costs 84RMB. See here for the schedule. While not quite as close or as well served as Shanghai, the neighbouring city of Wuxi also contains an airport. The greater Suzhou area features four railway stations, though there are two primary stations. The Suzhou Railway Station, located on the northern edge of the old city, is served by both the Beijing-Shanghai Railway line, and the Shanghai-Nanjing Intercity Railway — high speed trains will get you to Shanghai in about 30 minutes, and Nanjing in around an hour. Additionally, the city features a new Suzhou North Railway Station, which is located in Xiangcheng District, about 10km away from the city centre. It is the local take-off and landing spot for the Beijing-Shanghai high-speed train, which will get you to the nation’s capital in about 5 hours. The station will be the northern-most stop on the SRT Line 2, set to open later in 2013. Suzhou South Bus Station (苏州南汽车站, Yingchun Rd, East Nanhuan Rd, 0512-65204867), the largest station, a modern, clean terminal serving regular shuttles to Shanghai, Nanjing and Hangzhou as well as most other major destinations around eastern China. It is just south of the city centre and is connected by many local buses and taxis. You can arrive at the bus station by taking buses 29, 30, 31 and 101. Suzhou North Bus Station (苏州北汽车站, 29 Xihui Rd, 0512-67530686) is immediately adjacent to the train station. It mainly serves nearby cities such as Wuxi, Zhangjiagang, Changzhou and Kunshan as well as less-frequent services to other cities including Nanjing. The station was recently completely rebuilt and is much cleaner and more spacious than before, and is now a smoke-free zone. The ticket office and departure gates are located on the 1st floor whilst arrivals are located in the basement. All buses serving the train station also stop at the North Bus Station, and you can walk into the city centre in 20-30 minutes (see Get In/By Train for more info. Suzhou West Bus Station (苏州西站, Jinshan Road Changjiang Road New District Suzhou (Suzhou Xinqu)) is on the far edge of the Suzhou New District (north of Suzhou Amusement Park) and mostly serves nearby towns of little interest to travellers. Bus information provided by WikiTravel, see their Suzhou page here. The Suzhou Rail Transit (SRT) currently has a single line that bisects the city from east to west, with 24 stations along its route. A second north-south line is set to open in 2013 (shown in red on the map below). Two additional lines are expected to open by 2016 — a full map of all the lines can be seen here.